AMSTERDAM/MANILA (Reuters) - The International Criminal Court's prosecutor said on Monday her examination into possible crimes against humanity committed in the Philippines would go on, despite its withdrawal from the court. Duterte's spokesman said the ICC had no basis to continue its preliminary examination and the government would not cooperate with it. "They cannot enter here if that is their purpose, to investigate. You are already intruding into our sovereignty," presidential spokesman Salvador Panelo told a regular news conference on Tuesday. "We have already pointed out that in this country we have a judicial system that is robust and functional and very effective," Panelo said. 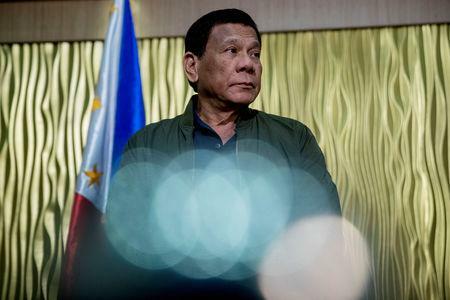 The ICC procedure was "political persecution" of Duterte, he said.